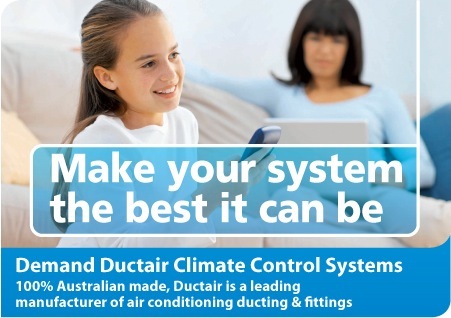 “Ducted reverse cycle air conditioning gives you total climate control for your home, all year round”. Ducted reverse cycle heating and cooling combines an outdoor unit to deliver temperature-controlled air that works with an internal unit and ductwork system, usually hidden discretely in your ceiling. The ducted reverse cycle unit draws air from inside your home through the filter in the Return Air Grille. The air is then cooled or heated inside the unit and blown through a series of Flexible Ducting and outlets into the desired area of your house. As your Flexible Ducting and Fittings represents about 95% of the air-flow surface of your air conditioning system, this means that your ducting is the lifeblood of your system. Air condition your whole home or rooms individually based on your preference. Different zoning options including day/night zoning or living/sleeping zones, saving you money on energy running costs. 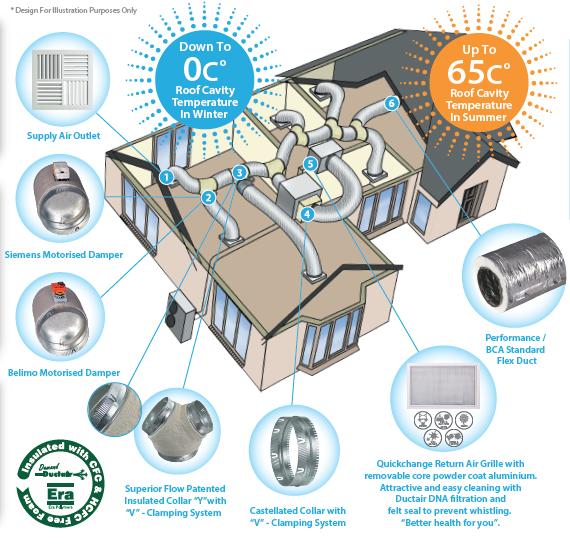 To make your system more efficient and reduce your energy bills, demand superior Ductair quality duct and fittings. 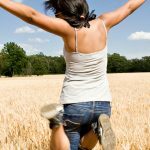 “Your air conditioning unit will create the air.